These projects have been predominantly turn-key on all site work, including clearing, erosion control, earthwork, design-build retaining walls, storm drain systems, underground detention systems, water systems, sanitary sewer systems, curb and gutter, and asphalt paving. BCC has met every expectation and requirement with regards to safety, quality and schedule. 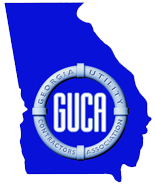 GUCA is a construction trade association representing the underground utility construction industry. AGC serves our nation’s construction professionals by promoting the skill, integrity and responsibility of those who build America. PaYS is designed to help Soldiers prepare for a career after the Army by connecting them with employers who understand the skill, discipline and work ethic that military service members bring to a business. ACAA is a nonprofit trade association devoted to recycling the materials created when we burn coal to generate electricity.